Being a Star Ambassador is as simple as inviting your friends to breakfast. Star Ambassadors volunteer to share their passion for Volunteers of America's mission with friends and family throughout the year. 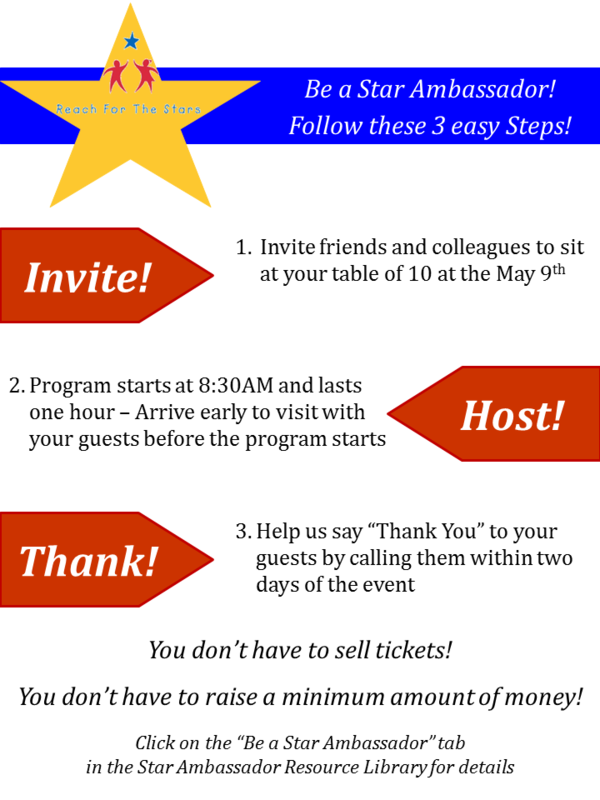 Invite your guests to see our work in action at #ExperienceWhy Opportunities and host a table at our culmination Reach for the Stars Breakfast held in May where life-changing funds are raised for our programs. Your efforts will give hope and opportunity to the people who need our help. Additional questions? Email or call Caitlin Scanlan at cscanlan@voasela.org or 504-486-8686. Learn how to can engage friends, family and colleagues.